Welcome to our unicycling web page! Hello! We are Tanya and Tammy from South Dakota. We have been unicycling since the summer of 98, and now it's our all-time favorite hobby. We want to share our experiences with others, so thanks for stopping by our site! We hope you find it interesting and helpful. There are several methods of learning to ride. We recommend using a tennis court. That way, you can ride around the inside while hanging onto the fence until you get the hang of it. Other methods we have heard about include using a dorm hallway, ski poles, monkey bars, a wall or railing, and other people. One of our favorite ways to teach others is to place the inexperienced unicyclist between two experienced riders. Then, the middle person can hold onto the others' shoulders and arms for support, and everyone can ride together. Click HERE for pictures and explanations of learning methods. 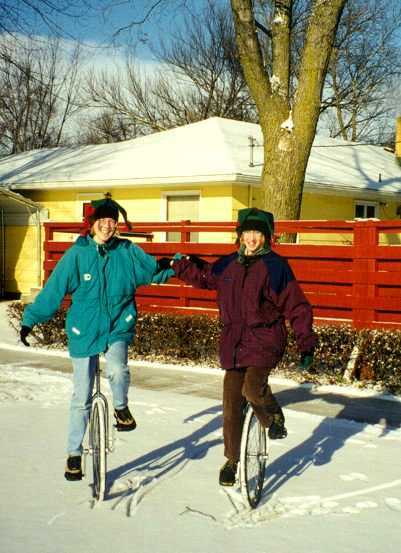 Silver Streak, Tammy's 24" uni, and Silver Bullet, Tanya's 24" uni, were our first unicycles we bought. We like them very much, and we feel it was a good choice to start out with because you can ride some nice distances without feeling completely exhausted and you can also use them for tricks. Streak and Bullet are both Cyclepros. Then we bought bigger unis for distance riding: Cyclops and Bubba are our 28" Semcycles with Miyata seats. They are great for distance riding!! Really fast and smooth. After that, we added more unis to our family: 20" Miyatas Yoda and Obi for tricks! We love them. We got them from unicycle.com. Now we are getting Cokers - for major long distance rides. Tammy has hers now, named Tractor, and it is extremely fun, fast and smooth with plenty of momentum. Next on our wish list? An ultimate wheel, MUnis and perhaps own giraffe. :) And wouldn't a tandem uni be the epitome of cool? We formed a unicycling club called the UFO - Unicycling Freaks Organization. :) In this photo are just four of our many members: Jana, Tanya, Mike, and Tammy. 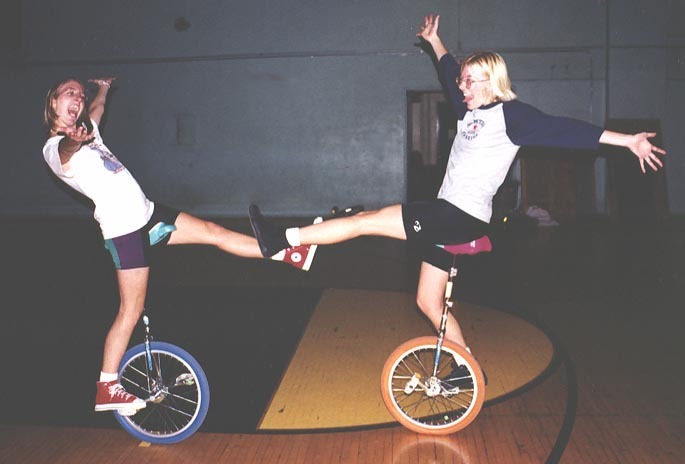 To see more pictures of us unicycling, check out our scrapbook! Unicycling is a lot more fun when you're with other people. The more, the merrier! When you get a big group of five or six unicyclists riding around town together, you really attract the attention! We had T-shirts made for our organization: to see the design, click HERE! Starting a club at your school is another idea. Tammy started a unicycling and juggling club at South Dakota State University, where she is a junior this year. Read her story of forming a club. A great way to get really involved in unicycling is to join the Unicycling Society of America - http://www.unicycling.org/usa - it really connects you to the unicycling community and it's a great way to make friends. Basically what membership (at only $15 a year) gets you is eligibility to go to the National Unicycle Convention and a subscription to the quarterly unicycle magazine for the USA, On One Wheel. As of this year, we are the editors of this magazine, so if you have story ideas, questions, or information for us, please email ononewheel@unicycling.org! Another tool for getting to know other unicyclists is subscribing to the unicycling listserv. To get on that, just send an email to Majordomo@winternet.com with the message "subscribe unicycling" in the body. 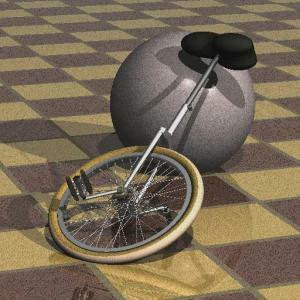 This will get you on the grand list of unicycle discussion, which can be quite informative and entertaining. It will also flood your inbox with messages from people all over the world. We've done some pretty fun things while unicycling, from trick or treating to unicycling a thousand miles through Europe. Most recently, we have participated in the European Unicycle Tour - a trek of 1800 km from Cologne, Germany, to Barcelona, Spain, for three weeks this summer. Check out the website for reports and photos for each day of the tour! MONDO XII in the Twin Cities is the latest festival that Tammy went to in February 2001 - check out my report! We attended our first National Unicycle Convention this summer, in Adrian, Michigan. It was even cooler that we had imagined it would be. Winnipeg Juggling Festival was a great chance to meet some really cool Canadian jugglers. Unicycle Across Minnesota, our main event during the summer of 99. MONDO X, the first juggling/unicycling festival we ever attended, was an incredibly inspiring experience for us! We have compiled a "unicycling resume" that lists events, parades, and performances we've done, clubs we've started, and a few other things. When there ISN'T snow on the ground and we feel like doing some off-roading, we grab our unis equipped with mountain-bike tires and do some Mountain Unicycling (aka MUni)! We are new to MUni, but to read our first real MUni experience, click HERE! Unicycling is way WAY more fun than biking. Why? Check out our "Top Ten Reasons Why Unicycling Kicks Biking" List! Now we'd like to share with you some of the comments that we get while riding around. We've compiled the most common and the funniest ones in our "Top 26 Comments We Receive While Unicycling" List ! We have put together a few tips you should consider in caring for your unicycle. Just click HERE . Okay, if you're interested in seeing us as cute little kids, this is the place for you. It relates to unicycling in a few ways! Check it out! We would love it if everyone who visited our page signed our guestbook. 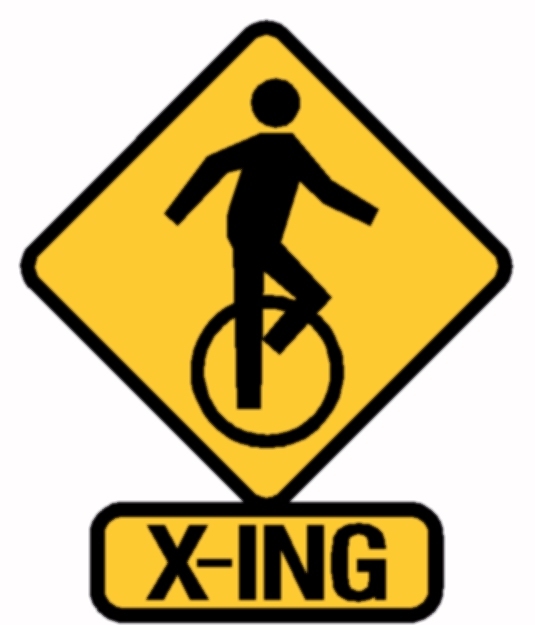 In the comments section, we are interested in knowing your unicycling experience and what you think of our page. Thanks so much!